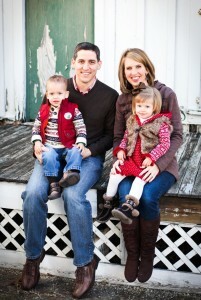 ACU Alum Brad Moore graduated in 1999 with degrees in Accounting and Finance. His younger brother, Chad, graduated with degrees in Marketing and Management in 2001. Upon graduation, Brad went to work for Belew Averitt in Dallas, working in their tax division. After working in the accounting world for 5+ years, Brad left to begin a new venture. We are grateful to Brad for taking a moment to share his experiences with us. Tell us about your company. What do you do? 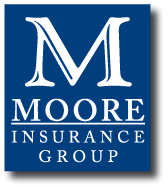 The name of my company is called Moore Insurance Group, LLC. We are an independent insurance agency located in Frisco, TX. We handle home, auto, life, health, and business insurance all across Texas and represent many different insurance companies. In a few brief paragraphs, how’d you get started? My father, who has been in the insurance business since 1980, helped bring me to the insurance agency he worked for in 2004. I had been working in the accounting/finance world for five years and was looking to do something “on my own.” I worked there for almost 6 years and then I left to start Moore Insurance Group in February 2010. My father and brother came and joined my agency six months later so it’s a family affair now. I have always enjoyed helping people and that is one of the things I like most about the insurance business. I get to help people on a daily basis with something that is very important and is needed by almost everyone. What class, project or professor helped prepare you the most for your journey? I think having an accounting background has helped tremendously with starting my own business because I know how to handle the company finances. A business plan is essential to starting any type of business, and a huge chunk of that business plan revolves around a financial plan: calculating start-up costs, assembling financial statements, and projecting both short term and long term sales and cash flow. All of my accounting classes at ACU prepared me for the financial aspects of running my own business, although this is the first year that someone else besides me will do my taxes. What’s one piece of advice you’d share with future and current business students at ACU? For more information about the Moore Insurance Group, or to contact Brad, click here.